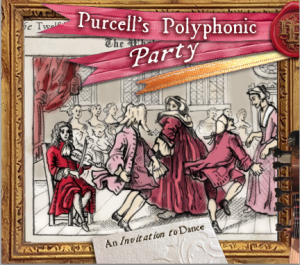 Vicki and Jonny have teamed up with John Dipper to create the group called Purcell’s Polyphonic Party and have recorded an album. This is an album of music from John Playford’s English Dancing Master and contemporaries. You can choose to put the album on just to listen and enjoy, but crucially, each track can be danced to. Repetitions and speeds have all been meticulously researched and included in the sleeve notes. So if you dance any sort of Playford, this is your Invitation to Dance.